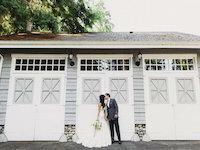 Nestled in the Snoqualmie Valley with breathtaking views of the Cascade-Mountains, offering the perfect setting for a unique and memorable wedding. From the Hippodrome's classic wooden-beams to our heritage rose-garden and our beautiful certified-organic-garden---providing the perfect blend of rustic elegance. knot~depends on the size of your group. Your romantic celebration will be back-dropped by towering trees, lush plantings, the sound of the river and witnessed by a collection of distinctive treehouses. Up to 80 guests. 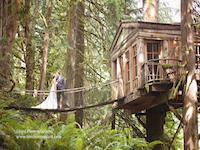 Great for Destination & Elopement Wedding location. 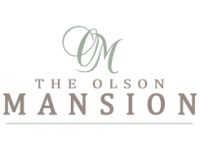 A premier site for wedding ceremonies or receptions. Conveniently located in downtown Issaquah, the 12,000-square-foot Pickering Barn’s spacious banquet rooms can accommodate up to 400 guests. 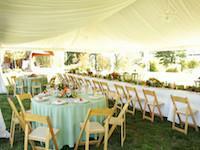 Our courtyard provides a great outdoor space for wedding ceremonies and social gatherings. 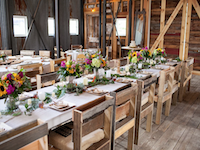 Looking for the perfect vintage farm to host your rustic-wedding? We are a historic farm transporting you to a place of timeless beauty and country simplicity. Our generous-hospitality will make you and your guests feel welcome and right at home. Season, indoor Guests to 50.